MASTER PROBLEMS Communication and Relationships How to know the best gift to give? 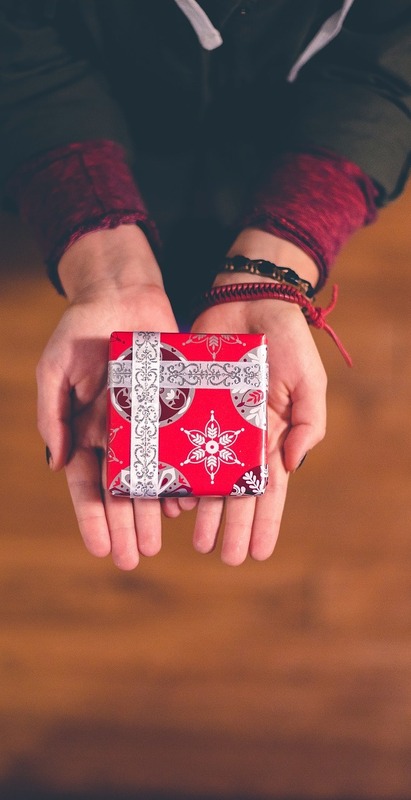 How to know the best gift to give? Some gifts are gratefully accepted while others may not be received with enthusiasm. One factor may be the motive of the giver. Another may be the gift itself; and often the manner in which it is presented determines how it is received. Let us look at this factors in details. Gifts do much to draw people together and maintain friendships, because kindness begets kindness. The motive, however, is often as important as the gift itself. When last have you questioned your motives in giving gifts? When you give gifts, is it usually because you feel obligated to do so, or do you truly give from a generous spirit? Do you give largely out of regard for the occasion, or is it because of interest in the person? Are your gifts offered freely, or do they have strings attached? Once we are satisfied that our motive is proper, we can then examine the kind of gifts we give and what they accomplish. For instance, are your gifts practical? In other words, is the item given something that the receiver will truly use to good advantage? Will it give pleasure for just a day or is it something that will be used with pleasure for many years? On the other hand, may it be simply put away on a shelf or tucked into a drawer? Practicalness is a factor to consider, but by no means the only one. Another thing to keep in mind is that the cost of a gift is not really a true gauge of its value. An inexpensive item may be more highly valued than an expensive one that is not needed or wanted. A child can draw a picture with just a few crayons and a piece of paper. But that picture will not be appraised monetarily by his parents or grandparents. They will proudly show off his “masterpiece” to others. A sweater, hand knitted by a loved one, may cost little to make but be more highly cherished than an expensive one purchased in a store. Some gifts have a sentimental value, for they serve as a reminder of the giver’s thoughtfulness. For example, a husband may give his wife a toaster that she needs. It may be a practical gift, one the whole family can use. Naturally, she thanks him for it. Yet it may not be appreciated by her as much as a personal item, such as a necklace or an article of clothing. For whenever she wears such item, it will remind her of her husband and will give her pleasure over the years. Can you not remember a personal gift that your mate gave you some time ago? Nevertheless, not all women are the same. Some may prefer a practical household item over a personal one for themselves. This does not make them any less feminine. It only highlights their practical side. So a husband should take all the facets of his wife’s personality into consideration when selecting gifts for her. And the same is true of a wife when selecting a gift for her husband. Graciousness is necessary when giving, and it is also needed when receiving gifts, whether from family or from friends. There are so many little courtesies that friends do for one another that are beyond repayment. For instance, when a friend regularly performs a service for you, do you sincerely thank him? In time, do you perhaps take the service for granted? There are many ways appreciation can be shown if it is genuinely felt. There are also ways you can unintentionally insult someone if you are not careful. Objecting to his generosity, insisting that he should not do it or that it must be repaid may make the situation awkward and deprive him of much of the joy of giving. That, of course, no one means to do, but sometimes it happens. Gifts may sometimes be received with indifference by adults, but rarely by children. They just love to receive presents. As far as gifts to children are concerned, the parents are naturally the best judges of what their children need and prefer. So their gifts are often practical. It is those outside the immediate family circle that may find it difficult to select presents. That is why, when they are in doubt, they usually settle on toys. These not only keep a child occupied during his waking hours but, if they are chosen properly, can do much to help him develop both mentally and physically. Some toys are designed to develop his mental concepts. Tricycles and scooters do much to develop his muscular coordination. Others strengthen his dexterity, stimulate his imagination and foster his creative ability. Play phones, dolls, crayons, clay, building blocks and puzzles fit into this category. However, since toys play a part in developing a child’s mental attitudes, those toys that have violent themes—guns, tanks, grenades, and the like—can result in lasting harm. Surely no one wants to harm those for whom he has affection. Children should be, not only the recipients of gifts, but givers as well. Are they encouraged to give to others? If they can sew, knit, paint or cook, do they ever give as presents what they make? Do they have any special talents? At an early age they can be taught that these are really gifts and should be freely shared with others and not held onto for a price. An embroidered handkerchief, a knitted pot holder, a painting or a pan of cookies that they have made affords an excellent opportunity to get them started in giving to others. It does much to build up their feeling of worth and self-respect. Why should they be deprived of the happiness that comes from giving? Yes, wise parents realize that it is not only what they give them or do for them but what they have taught them to do for themselves and others that will help them become responsible adults and turn out successfully. Many persons give material gifts rather than devoting some of their time to others. Yet the time is often more highly valued. What loving wife is it that does not cherish the time that she has alone with her husband? Similarly, children, surrounded by a roomful of toys, may still feel lonely if their parents do not take time for them. Giving of oneself to others may be more time-consuming, but the ones who do so find the results much more satisfying. Is it not true that the families that spend time together usually stay together? There are any number of things that all the family can do together. Why not visit a local museum, a theater or a national park. Take a boat ride, spend a day at the beach or lake, enjoy a picnic or a walk in the woods. Together, cultivate appreciation for natures gifts —life, food, clothing, shelter, and all the little things that contribute toward happiness. In many homes, adjustments need to be made to give to one another more generously that precious gift of time. Some parents rarely see their children because they send them off into the street, to the local movie house or a neighbor’s house rather than spend time with them. Others may not allow their children to play on crime-ridden streets, but they let them spend a large part of the day in front of the TV set, where they receive a steady diet of crime and violence, simply because it keeps the youngsters occupied. How much better it would be in their preschool years to read to them, and to teach them to draw, paint and help around the house. Help them to develop good, clean habits that will carry over into their adult lives. Time spent with your children pays rich dividends in the future. The gift of one’s time can also be extended to relatives and friends. Especially is it appreciated by older persons. What aged parent prefers a material gift over a personal visit from his children? It takes very little to contribute toward the happiness of older persons: an unexpected visit, a surprise long-distance telephone call, a loving letter. Yes, much pleasure is derived from receiving gifts, especially when we give to others freely from the heart, thinking of what will benefit and please them.